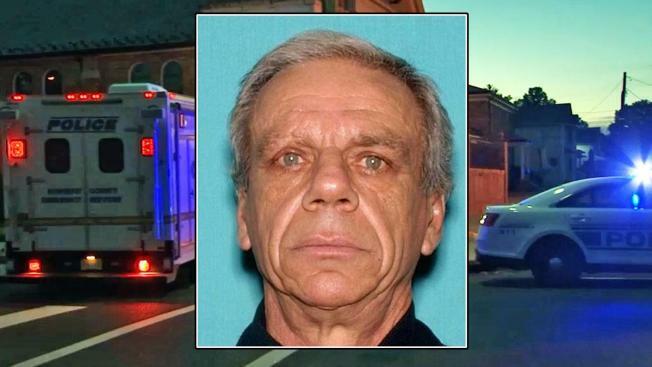 A 62-year-old New Jersey man has been arrested for allegedly driving drunk, hitting two parked cars and then driving down a sidewalk, where he hit a woman pushing her 1-year-old son in a stroller, her 5-year-old son behind her. Matias was out celebrating his first birthday Saturday night by talking a walk to the park with his mother, 36-year-old Domitila Rosales, and 5-year-old brother Daniel Ortega when police said he was mowed by an alleged drunk driver near Anderson and Second streets in Raritan Borough. According to Maribel Ventura, the daughter of a relative of the children's father, the mother pushed 5-year-old Daniel out of the way, but the 1-year-old boy in the stroller was hit and dragged by Rebernik's vehicle. The toddler died. Brother Daniel was critically hurt and remains hospitalized. The 36-year-old mother, Domitila Rosales, remains hospitalized with serious injuries following the 7:15 p.m. accident Saturday. Authorities said Monday their investigation showed Ronald Rebernik, also of Raritan Borough, was driving his 2004 Ford Escape south on Anderson when he crossed to the northbound side, hit two parked vehicles, left the road and kept traveling southbound on the sidewalk, where he hit the three family members. Rebernick then allegedly kept going south on the sidewalk, got back onto the road and hit two more parked vehicles on the northbound side of Anderson Street before his vehicle stopped. Rebernik faces charges of second-degree vehicular homicide, in addition to vehicle summonses for DWI, DWI in a school zone and other driving offenses. He was taken to a hospital for evaluation and remains there under police guard, officials said. He'll be moved to the Somerset County Jail for a detention hearing upon his release from the hospital. It wasn't clear if he had an attorney who could comment on the allegations. Flowers, balloons and candles mark the spot where Matias was killed as neighbors created a memorial for him Monday. The boys' father was too upset to speak on camera Monday, but he told News 4 he's now forced to comfort his wife, pray for his 5-year-old boy to make a full recovery -- and mourn little Matias.